The Home Service Force Association | Who the hell are you lot! on Monday 8th May 2017.
at Gilroes Crematorium, Groby Road (A50), Groby, Leicester LE3 9QG. Look out for confirmation by circulated email. its disbandment, which occurred in August 2016.
and viability are their responsibility and always has been. maintain the HSF Grove for as long as possible. (formerly E (HSF) Coy 2nd Bn The Mercian Volunteers). based in Leicester, with a detached Platoon in Lincoln. and Commissioned Territorial Service with The Royal Army Medical Corps. The password to the Members’ Compound has been removed. Unit Pages will be expanded in 2017, and will include Unit Websites and/or a Page assembled from known information. What was the Home Service Force ? People were recruited who had retired from the forces (regular & reserve), to carry out low level Home Defence roles in the event of an attack on Great Britain, and wouldn’t cost lots of money in basic training. They were administered within the existing Territorial Army, and with a bit of familiarisation with more modern weapons and equipment, a very keen and experienced force was thus available which could be very valuable if somebody decided to attack the UK. In 1982, four pilot Companies were formed around Perth, Reading, Bedford and Worcester. A full HSF Company had 100 – 120 soldiers (including 5 officers) and was usually commanded by a Major. There was no need for the Home Service Force in Northern Ireland because there already existed a number of Home Service Battalions of the Ulster Defence Force (later part of The Royal Irish Regiment), and so The HSF was confined to the mainland of Great Britain, although there were detachments based in the smaller offshore islands as well. Without the performance of the personnel in those companies the Home Service Force may not have happened, so the rest of us owe thanks to those “pioneers” . If you have hard evidence of this process, please contact us. The Home Service Force was officially raised in 1985, (with some formations ready to start in 1984), but disbanded in 1992. This reflected the collapse of The Soviet Empire, the Berlin Wall, and Soviet-style communism. The “so-called” Peace Dividend that was to turn swords into ploughshares. Some hope. 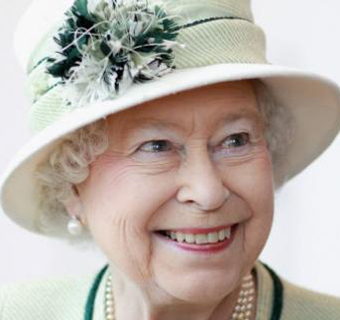 In the year of the disbandment of the HSF in 1992, Her Majesty also proclaimed the year “Annus Horribilis“. We cannot be sure whether Her Majesty’s thoughts were entirely with “homeland security”, or Home Defence as we Brits call it, when she gave this speech, but, mindful of a serious breakdown in Buckingham Palace security during that year, one cannot help speculating whether Her Majesty’s Official Residence might have been better guarded by members of the HSF? …If you have a “we saved the day” security story, please share it with us. 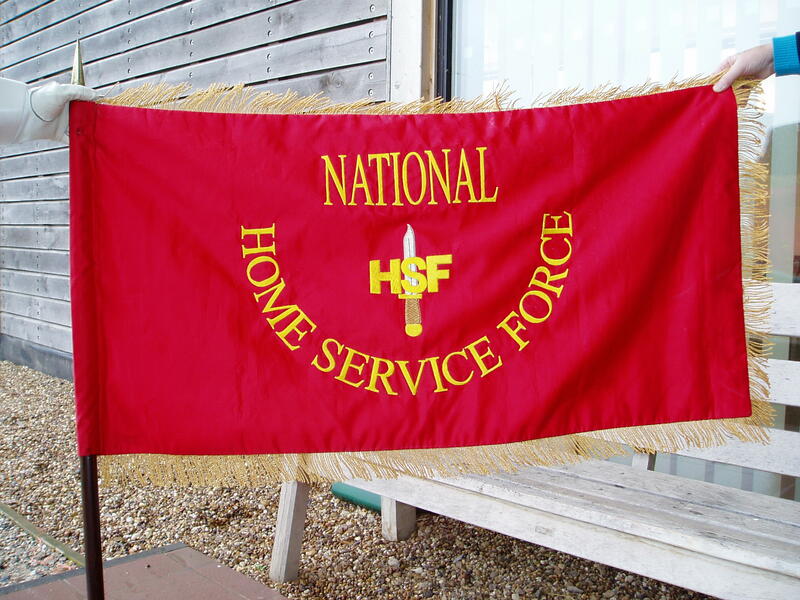 Local HSF Associations or Veterans’ Groups (“Units”) – formed after the disbandment of HSF formations in 1992. HSF Veterans, their families and loved ones everywhere – encouraging you to keep in touch and support your local Unit. Those who wish to learn about the HSF and the HSFA. The Regiments and Corps of The British Army which sponsored, managed and supported HSF Batteries, Squadrons or Companies between 1982 and 1992. This website, launched in 2012, is the third website we will have had. The HSF was never a national formation, but the now-disbanded HSF Association was national. This website concerns an association for veterans who were Servants of The British Crown. Any information deemed to expose current serving personnel, locations or operations will be subject to the Editor’s scrutiny and only balanced comment or observations about current UK Government defence policy will be published. 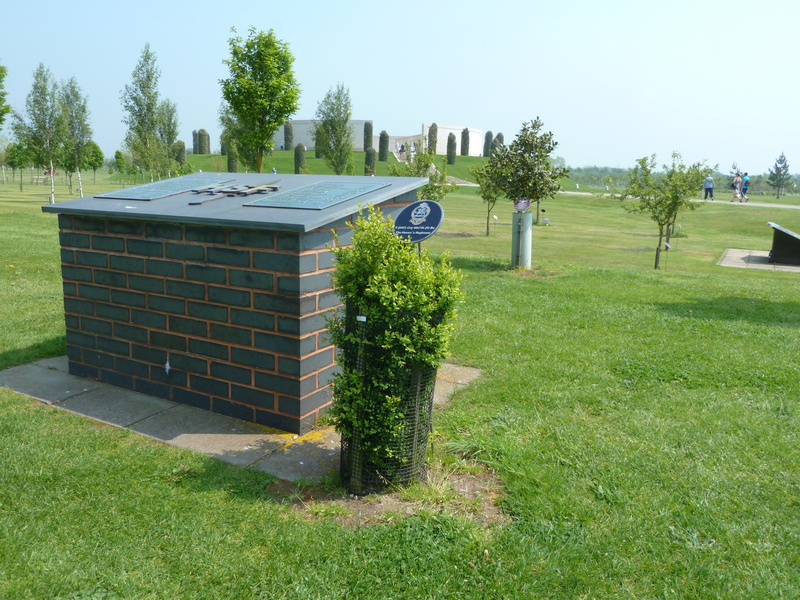 The Plinth on The HSF Grove at the National Memorial Arboretum, Alrewas, Staffordshire. The Bush in the foreground is dedicated to those who served in E (HSF) Company 6th/7th (Volunteer) Battalion The Queen’s Regiment. September 28th Journey to York Area. 8mon	Plymouth	Brixham	Overnight?? or Littlehampton?? Flying Pieman? Anyone out and about who wishes to join in is more than welcome. The Inns of Court & City Yeomanry (ICCY) HSF Association, of The City of London, will be holding their annual pilgrimage to the National Memorial Arboretum, Alrewas, Staffordshire on SATURDAY 17TH MAY . All HSF Veterans are welcome. It is usual to hold a Drumhead Service at The HSF Grove within the NMA in the morning and then retire to the RBL Club across the road for a buffet. They have a well stocked bar and the accommodation is very welcoming. ICCY HSFA will require a definite instruction from you (as a group or individual) if you wish to join in the buffet, which is usually of a high quality. You will be approached on the day for your contribution. Details of these arrangements will be issued in due course, by ICCY HSFA. The Association will not attempt to organise a return to its usual venue again this year. The Committee has met and discussed the poor attendance and poor communications over the past few years, and has come to the conclusion that Units and their members are no longer sufficiently strong to manage attendance. This has put serious doubt on the viability of the formal HSF Association. Units will be hearing from The Committee in due course. Whilst The HSF Association is struggling to survive as a formal association, there are many indications that it can survive as an informal association, or a "virtual" association. The Committee has been assured that The HSF Grove at The NMA, will stay; as will the Standard and Standard Bearer, thanks to Coventry HSFA, who thankfully fund him. •	The ICCY HSFA Spring Reunion at The NMA. •	Lincolnshire HSFA Remembrance Parade. 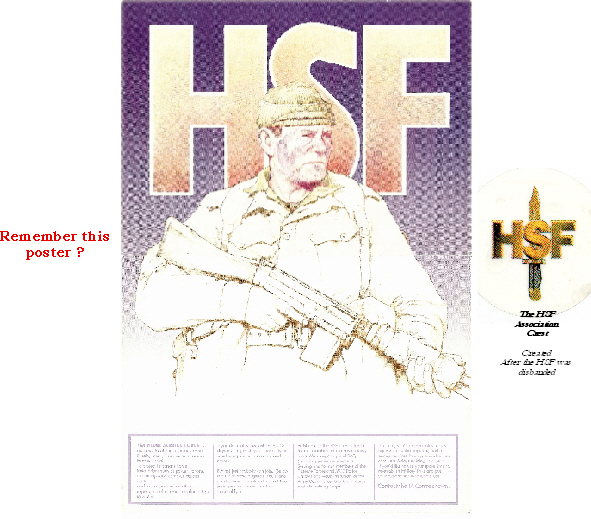 If you have an annual function and wish to swell the ranks, please invite other Units, particularly those in the next County, and do not forget to publish your plans in the local and regional newspapers to attract HSF veterans who may not have been aware there was even an HSF Association.